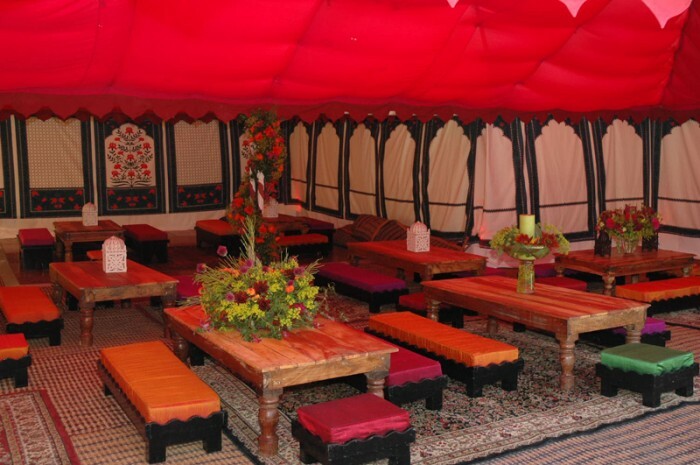 Celebrate the romance and rich spectacle of the Maharajas with a luxurious and majestic Rajasthani tent. 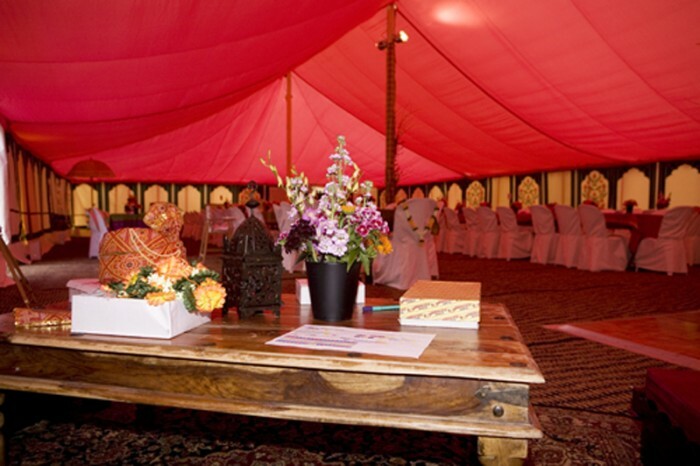 Lavishly decorated with rich coloured fabrics and hand printed linings, Indian tents are evocative of an era when they served as royal courts and hosted lavish weddings, safari hunting parties and polo games. 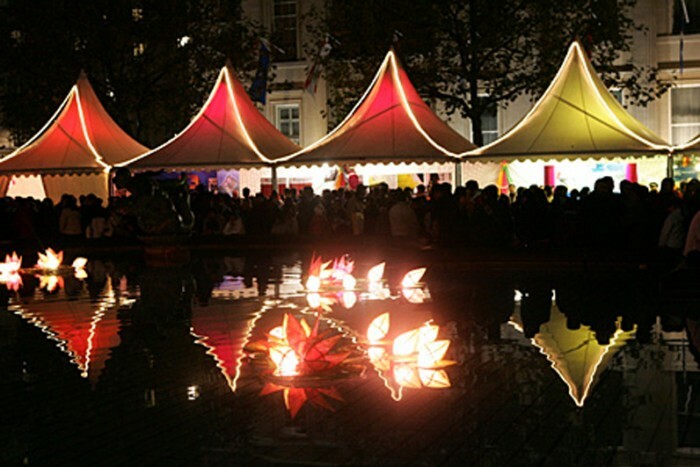 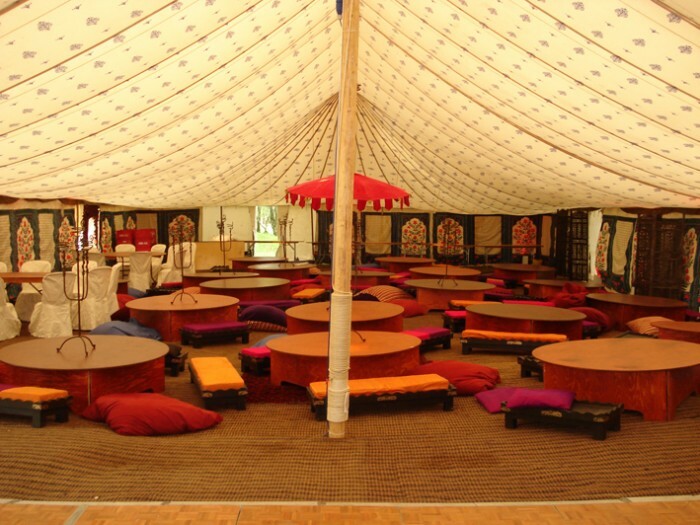 Our Indian tents are made to a Rajasthani design and can be either as a larger pole tent; ideal for on grass, or as a smaller frame tent which are more suitable on hard standing. 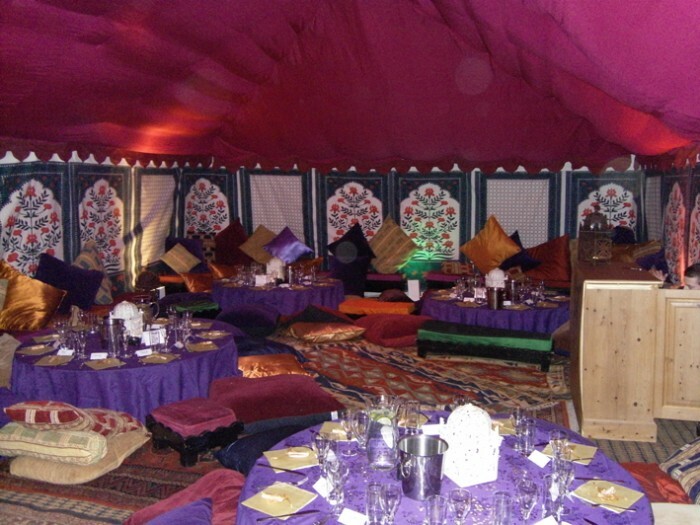 We have a number of lining options that reflect various aspects of the Moghul dynasties and the Colonial Raj. 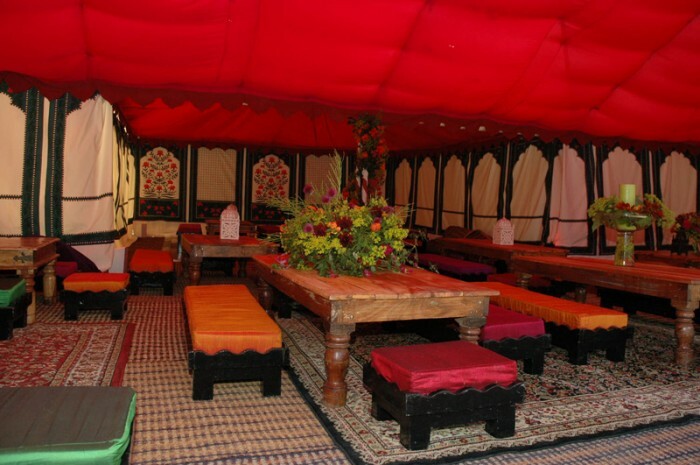 The walls are made with traditional waxed cotton canvas, and can be swagged open or removed entirely on Indian summer days, or brought down to create an intimate enclosed space. 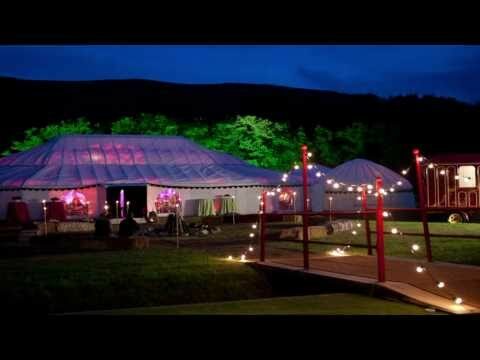 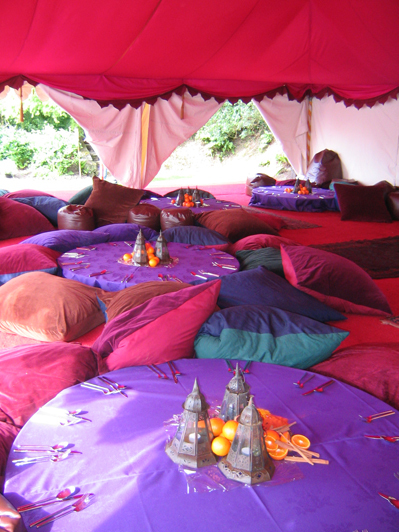 Our Indian tents can also be creatively interlinked with other types of tent such as yurts, to create varying ‘rooms’. 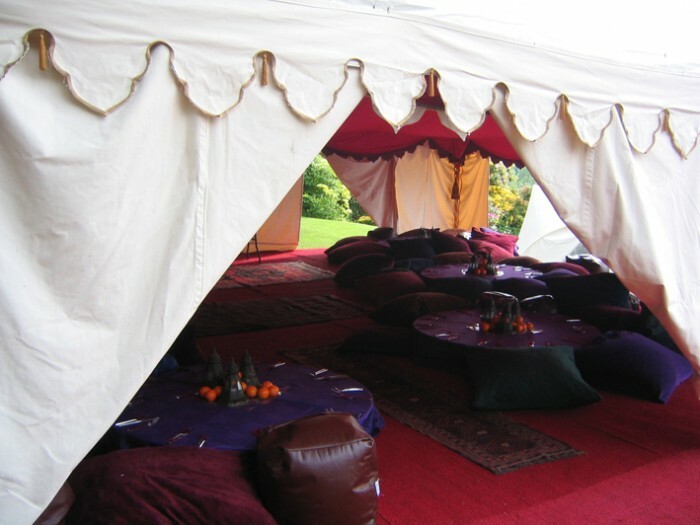 They can be furnished to suit a variety of occasions, either with low level informal seating, Indian tables and coloured silk cushions or with more formal Indian seating.